The ruins of the Blue Ridge Tunnel, as it appears today. 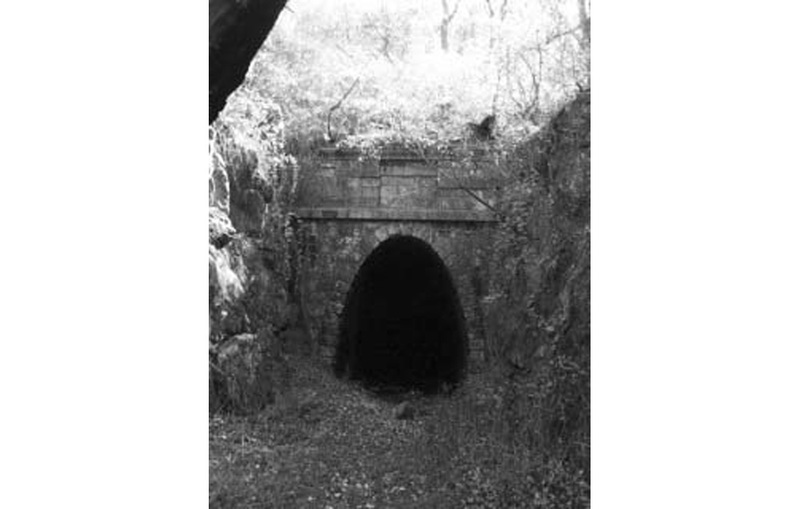 The Blue Ridge Railroad and Blue Ridge Tunnel were built by the states Board of Public Works. When the railroad companys chief engineer, Claudius Crozet, requested slave labor, the board had to decide whether the state should purchase slaves for the project. The tunnel has long since been abandoned, but the brick and stonework is the original, much of it slave-built.